Geneva's elegant architecture and unforgettable views make this city a top attraction for both tourists and locals. 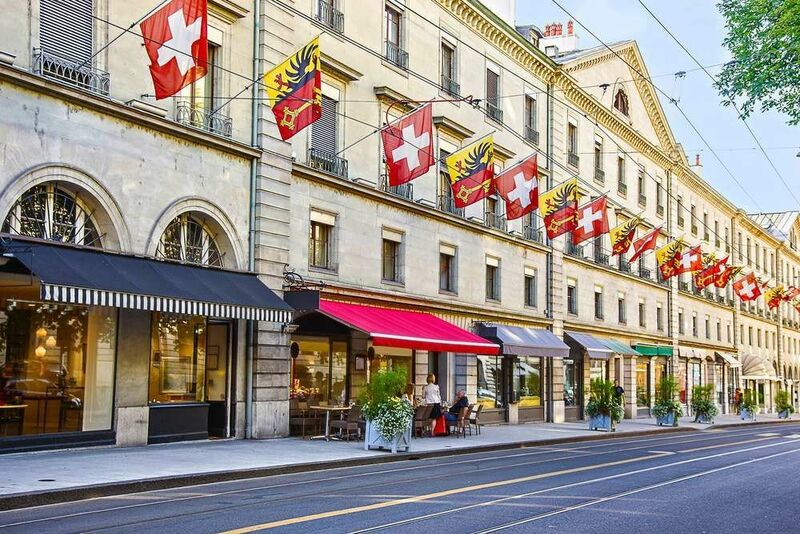 Located on the westernmost point of Switzerland, Geneva possesses character and heritage unlike any other. Geneva is the headquarters of the United Nations, World Health Organization, and the Red Cross, making it a hub for global diplomacy. A city of international relations and global governance, Geneva is one of the most exciting cities to visit in Europe. Some of the top landmarks in Geneva are the Jet d’Eau, St. Pierre Cathedral, and Large Hadron Collider (CERN). The Jet d’Eau is a 140-meter-tall jet of water that shoots up at an incredible force at 200 km/hour. At any one time, 7 tons of water are plunged into the air. The St. Pierre Cathedral is Geneva's Gothic-style cathedral. This magnificent building hosts free carillon and organ concerts during the summer. The Large Hadron Collider will be a must-see attraction for the science fanatic. This particle physics laboratory is easily one of the most impressive sights in the world for scientists. Stop by and check out their exhibitions and guided tours. A visit to Geneva will certainly leave you wanting more. See very best of Geneva and everything that it has to offer simply by walking through the city. These knowledgeable tour groups will teach you about the importance of the landmarks and Geneva’s fascinating past. For 2 hours, the guides will walk you through the top sights in the city including Place Neuve, Reformation Wall, and St Peter’s Cathedral. Throughout the tour, learn about Geneva’s history, and walk through Geneva’s Old Town. Check out the city’s chic commercial district and the popular flower clock, a tribute to Geneva’s watchmakers. Witness some of the most picturesque sights in the city and experience all that Geneva has to offer. For those who are intrigued by Geneva's international relations and global governance culture, check out the International Geneva tour. Learn more about the city's diplomatic structure, see all the important sights, and explore the beauty of Geneva throughout the way. For approximately 2 hours, visit the United Nations HQ, Red Cross Headquarters, and the World Health Organization. Below you can find more popular (but not free) activities and tours in Geneva. Are you from Geneva and want to be a tour guide? Please get in touch by submitting your details on this page!